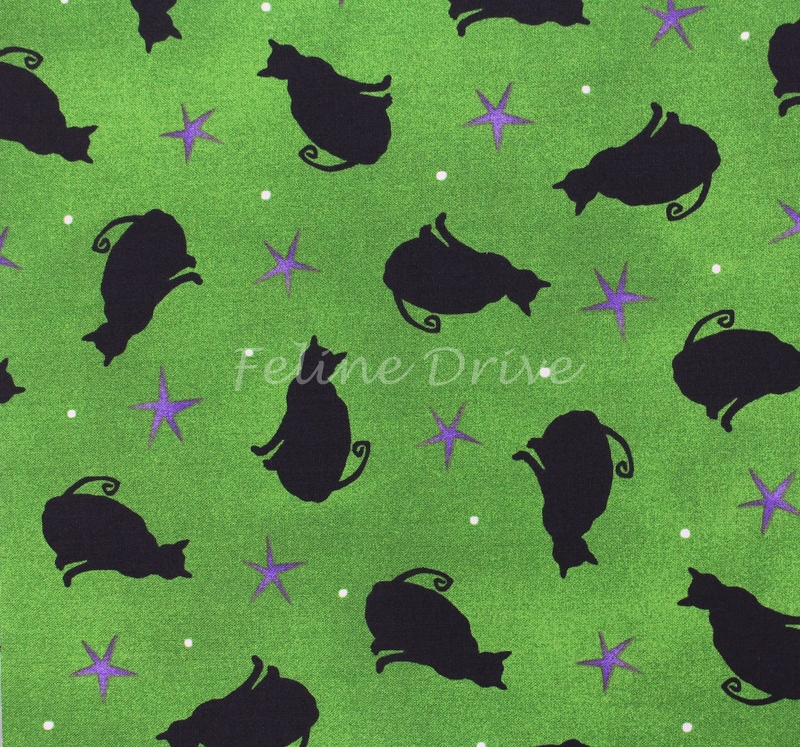 Get ready for Halloween with this spooky print from Maywood Studios. 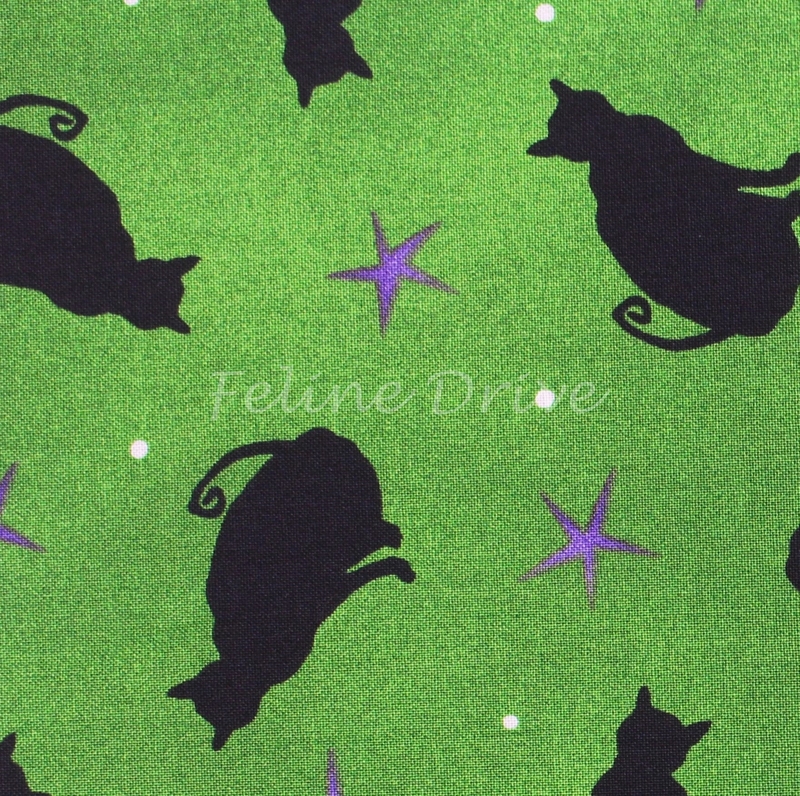 Black cats are tossed on a bright green background sprinkled with blue stars and small white dots. Print Size:Cats are approximately 1.75" and 2" tall. Design repeats every 8".